Bummer for the dog: unwanted bath. 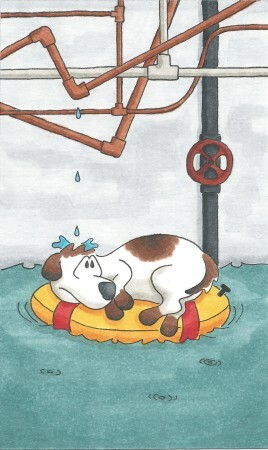 Bummer for us: wet dog. There’s a drip (drip) in the kitchen. (drip) It’s driving me insane. is an (drip) incessant pain. ignore the (drip drip) leak.